Impetigo. 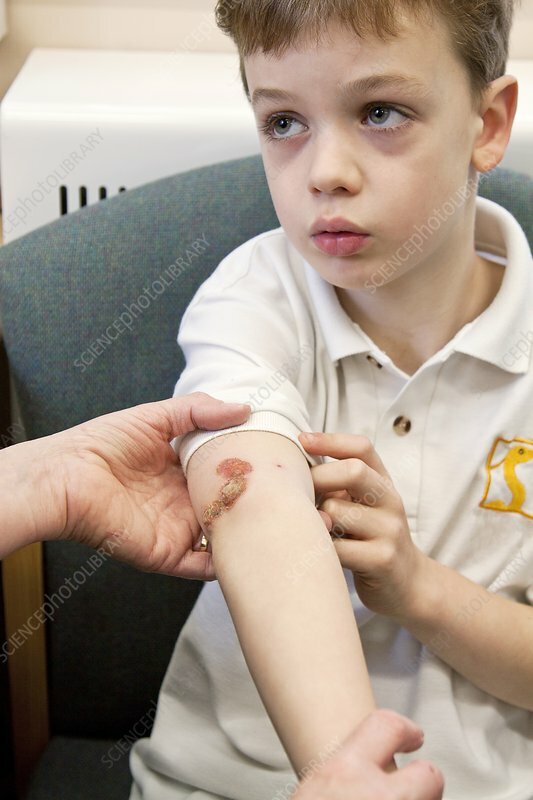 Eight year old boy with impetigo having a consultation with a practice nurse. Impetigo is a bacterial skin infection caused by Staphylococcus aureus. It causes the formation of pustules that contain fluid filled with bacteria. The infection is highly contagious. Treatment is with antibiotic drugs.